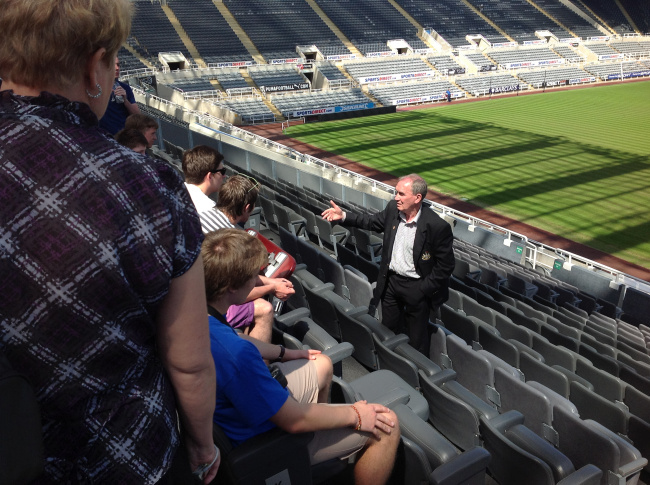 Stadium tours are fascinating sport heritage experiences. The idea of going “behind the scenes” to see locations not normally on public view has become one way in which sport heritage has been commodified; going to the “sacred spaces” of a team locker room, or seeing artefacts from championship seasons can be a powerful experience for fans and supporters. Indeed, part of the appeal of touring sports stadia is that they are, in some sense, a repository of a community’s culture. This is, of course, not to say that sport is all encompassing when it comes to representing culture, but rather that sport – and the places where sport is played – can become one of the representations of culture and cultural performance. In any event, touring famous sports stadia can be an important tourism experience as well. Places like Boston’s Fenway Park and Barcelona’s Camp Nou are some of the most visited attractions in their respective cities – and, given that each community hosts millions of visitors annually, the stadiums’ touristic importance cannot be ignored. Having been on dozens of different stadium tours in several countries, and being one of a handful of scholars who study stadium tours, I can attest that many tours follow similar paths and patterns. Almost all begin or end at the team or stadium shop (stadium tours are, after all, a good way of driving retail services on non-game days and in the off-season), and most include stops at the media centre, a luxury suite, at or near the top of the stadium (The “birds-eye” view), the change rooms, and beside the playing surface or pitch. However, not all stadium tours are alike. I have been on awful stadium tours where I was deeply interested in the team or venue, and been on wonderful stadium tours where I knew little or nothing about the home team (and, sometimes, even the sport!). Of course, what a good stadium tour can do is connect the committed supporter more closely with his or her favourite club, and perhaps even make the nominal or non-supporter gain an interest in the club, venue, or sport. Knowledgeable and passionate guides: Obviously, the abilities of the guide is important on any tour – stadium or otherwise – but, I believe, the best stadium tour guides are the ones that have a strong cultural memory of the club or venue (particularly those with some memories or nostalgia of visiting the venue in their youth), know about the current club, can deviate from the “script” when appropriate, and can answer virtually any question about the stadium’s history and legacy. This is a tough ask, but I have been on a few tours when the guide demonstrates (or, flat-out states) that s/he has no interest in the venue, or the sport/team that plays at the venue. Imagination: Stadium tours offer a bit of a juxtaposition. On the one hand, patrons are touring an infamous sporting venue. On the other hand, they are touring the stadium it when it is “sleeping” and therefore not as it would be on a match day. As such, the best guides and tours are adept at firing the patrons’ imaginations during the tour. One guide, I remember, when touring the locker room asked patrons to imagine it was five minutes to kick-off. He went through, minute-by-minute, what each one of the players would be thinking, feeling, or doing. He even pointed to different patrons, asking them to imagine that they were a famous player and would say, “You! You are listening to your music in your headphones, head-down, focusing on what will be a very tough match.” Finally, at the end of the five minutes, the guide rapped twice on the door and said, “It’s game time!” I’ll admit, I had shivers up my spine. The soft sell: Stadium tours are an opportunity for teams and venues to sell merchandise, rental space, team or venue experiences, and catering. 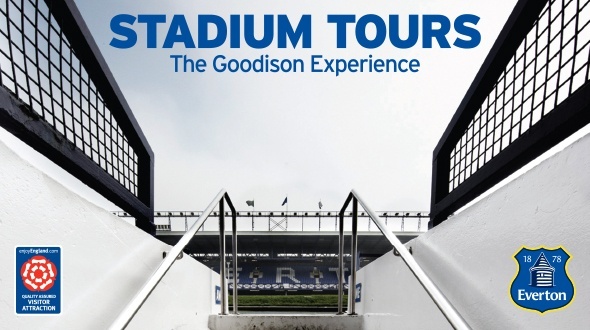 The best stadium tours might mention these, perhaps in passing, but don’t do the hard sell. It’s much more effective and enjoyable. Access: The best stadium tours provide the illusion of access – even though the “backstage” is always a kind-of front stage that is dressed-up for visitation. That said, I have been on stadium tours that did not go to the locker room area, or near the pitch, or anywhere that wouldn’t otherwise be available to anyone with a ticket to a game. The stadium tour must provide access that is not otherwise available, and certainly wouldn’t be available on a game day to anyone else but players and team officials. Souvenir: Many stadium tours provide patrons a kind-of lanyard during the tour – likely to identify patrons for safety and security purposes, but also to bring home as a souvenir of their visit. Interestingly, many of that lanyards and other souvenirs also have contact information for further tour bookings, tickets, and hospitality services. A nice way to have a memento while also providing a soft sales pitch. By Gregory Ramshaw in Uncategorized on April 7, 2015 .